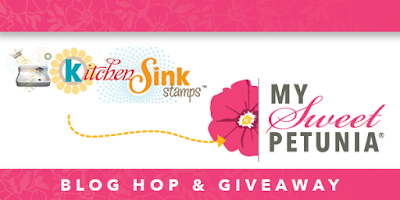 Welcome to the My Sweet Petunia and Kitchen Sink Stamps Blog Hop! 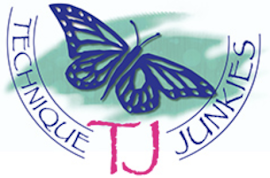 Hopefully you have arrived here from Giovana's blog, but if not, you are welcome to join in the hop right here. Or if you prefer, you can go to Maria's blog to start from the beginning! 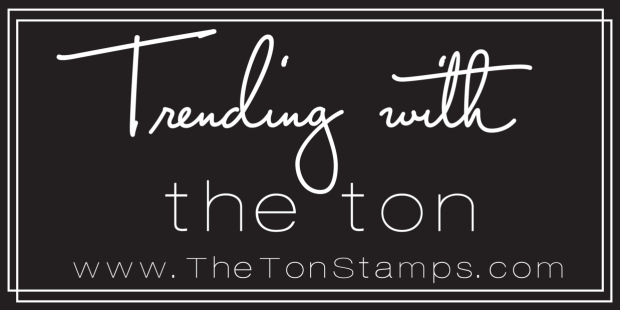 Today the teams from My Sweet Petunia and Kitchen Sink Stamps are bringing you a fun collaborative blog hop! Kitchen Sink Stamps has beautiful layered stamps that can easily be brought to full colorful life using your My Sweet Petunia MISTI stamping tool. There are two fantastic prizes up for grabs from today's hop, so make sure you leave comments along the hop to be entered! Two lucky winners will be chosen to win their choice of an Original or Mini MISTI, and a $50 gift certificate from Kitchen Sink Stamps! You must post comments prior to 11pm central time October 2nd to be eligible. Winners will be posted on Tuesday, October 3rd on both the My Sweet Petunia and Kitchen Sink Stamps blogs. And, today just happens to be an extra special day for KSS! KSS is celebrating their 10th Anniversary!! And to celebrate, they are offering a special sale! 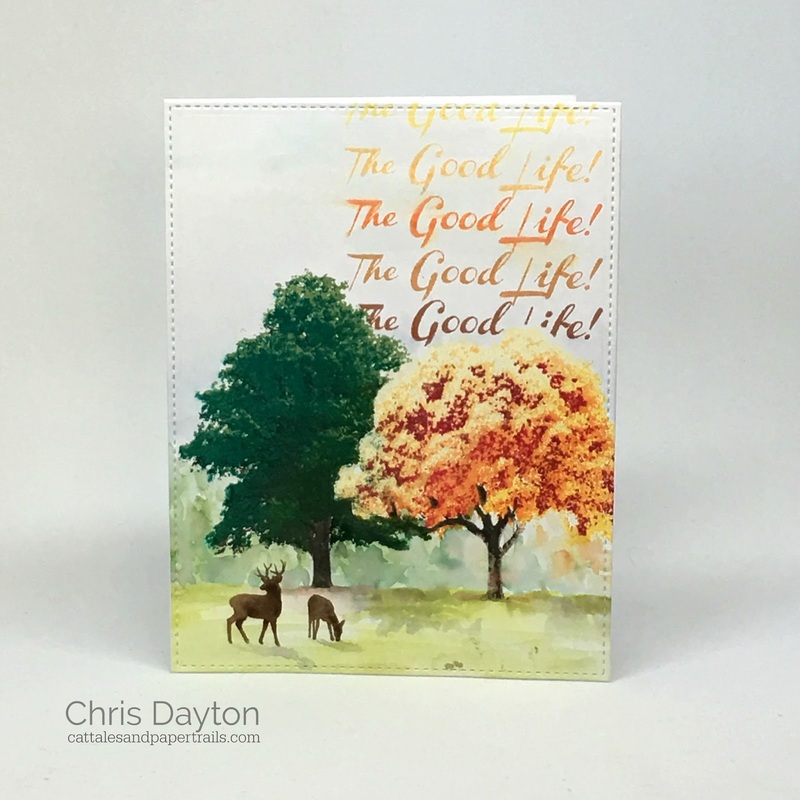 Today I have used my Original MISTI to stamp the text and images from Multi Step Trees, Multi Step Tree Friends and Greetings from the Woods to celebrate the first changes of fall color, and create this colorful fall card. The yellow maple was stamped first, using Altenew inks. I used the warm gray inks for the tree trunk, and Buttercream, Sunburst, Orange Cream and Velvet for the colorful foliage. After stamping the first layer, I covered that layer with a Post-it note, and stamped that first layer on the Post-it as well. I then hand trimmed the Post-it note tree to use as a mask for stamping the second tree as well as the greeting later. When I had finished all the layers of the yellow maple, I covered that tree with my Post-it mask and stamped with second tree, using again warm grays for the trunk, and Olive, Forest Glades, Moss and Emerald for the foliage layers. I painted a very loose watercolor background using a paintbrush and Altenew inks from a craft mat. I literally just swiped the ink cube onto my craft mat to give me enough color to create a painting palette. I used many of the same inks of the foliage, plus a bit of Sea Breeze to add a hint of color to the sky. I also stamped the first layer of the foliage onto a Post-it note to create a mask for that one as well. Once my background was painted and my panel had been trimmed using a stitched rectangle die, I decided to add the deer from Multi Step Tree Friends to my foreground. I used my MISTI to slowly build up color by stamping repeatedly in layers. I applied the ink from my ink cube to my deer stamps using a small fingertip foam ink blender, beginning with Sand Dunes, and working just a tiny bit at a time, creating some shadow and highlights to the deer bodies, and working my way darker on the right edges up to the dark ink of Espresso. By adding the ink with the foam blending tool, I was able to control the depth of color quite easily and create a slightly more 3d shape to my deer. 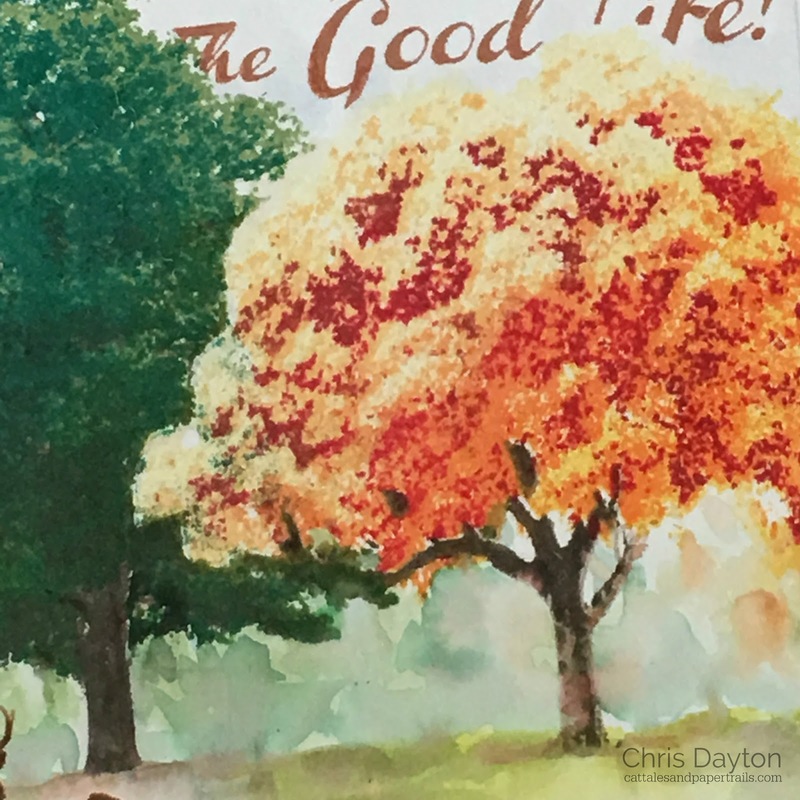 My greeting, The Good Life (from Greetings in the Woods), was added last. I used both of my Post-it masks to protect my layered stamped trees, then placed my stamp at the top of those tree masks. Once I was happy with the placement, I stamped with Mocha ink. I then, leaving my stamp on my MISTI, cleaned off the ink, moved my card front down 1/2" and stamped again Rocky Shore. I repeated this process, cleaning the stamp and sliding my card panel down 1/2" before stamping again in a new color. When finished, I adhered my panel to a white A2 side fold card base. That's it from me today, but there is much more in store! Comment below to be entered into the special giveaway from My Sweet Petunia and Kitchen Sink Stamps, then continue on the hop for more inspiration, as well as more chances to enter! The links are all listed below. 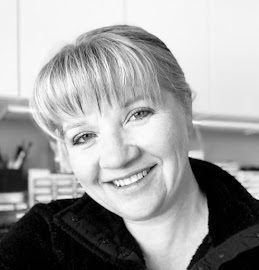 Your next stop on the hop is the very talented Stephanie Severin! Thanks for visiting, happy shopping, and enjoy the hop! I love this gorgeous scene, and I love how you did the repetitive sentiment. A great idea!!! Beautiful, love the way u layered the stamps. You CAN teach an old dog new tricks! I've never figured out how to keep my silhouette stamps from looking so flat. Thanks for showing me a new technique. You have created such a serene and beautiful scene! I definitely need to get all three of these sets so I can try to make a similar card or even a wall hanging! TFS! Beautiful!!!! I love all of these sets!!! So much detail - beautiful! WOW!! What a stunning and very beautiful card!!! I love the colors!! Love this changing colors Fall scene you created with the deer. Those trees are stunning! Well, the whole card is, but the stamps for the trees are just beautiful :-) Great card!!! Wow, love your scene! Those trees are fabulous! Love the scene you created! Those trees are amazing! what a beautiful scene. Love the added shadows as well. Lovely. Wow, Chris. You put a lot of work on your card. Really pretty!! Beautiful. Those trees are amazing. Jaw-dropping gorgeous, Chris. Thanks for a detailed how-to making it sound like anyone can do it. Oh Chris, this is a work of art! I would totally frame this! Just amazingly beautiful! Well done! What a beautiful scene. So real! Love, love, love your card. Beautiful! This is gorgeous. Your layered stamping is amazing. 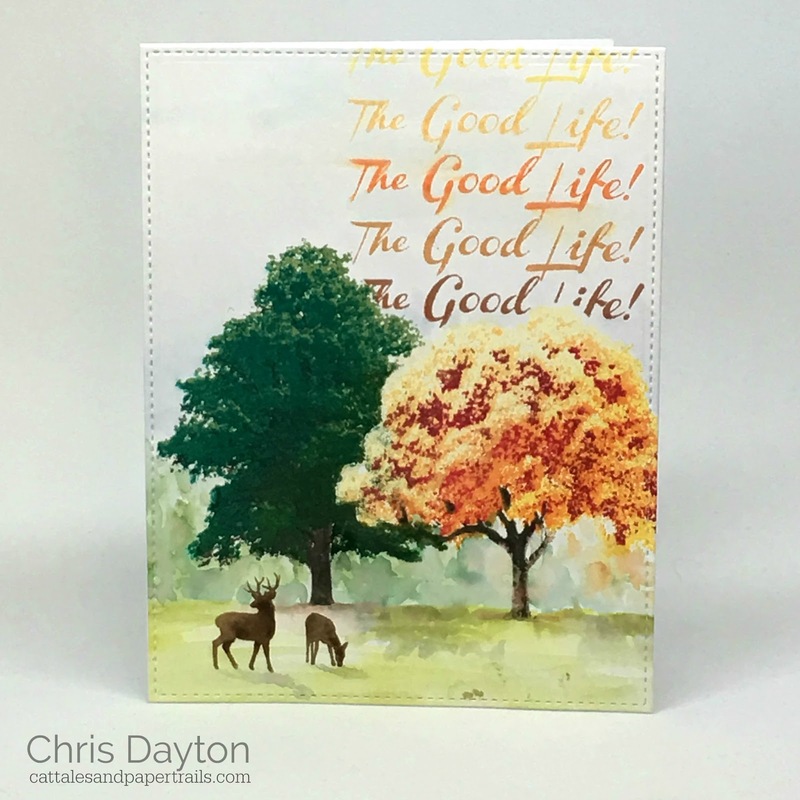 What a beautiful card...those trees are amazing! This is so impressive and I love that golden tree with the deer grazing in the meadow. I've never used KSS products but looks like I'll have to check them out. Wow !!! This is an awesome card !! One of these that I'd framed and hang up on the wall. Congratulations ! Love how you "multiplied" the statement. Very pretty. 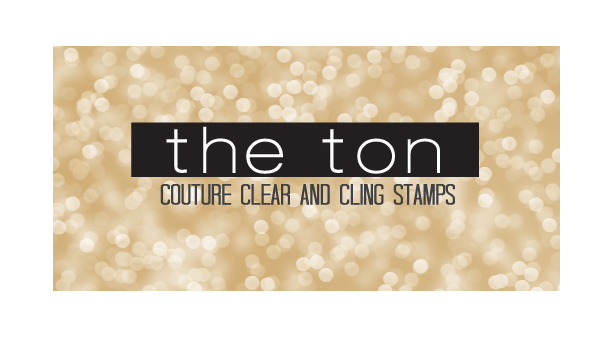 The combination of all the multi step stamps and the colouration in your card have made this a perfect piece of art. Wow, I'm amazed at your masking and blending of all the colors. Simply a spectacular fall card! Thanks for sharing. Just love your scene, it is so pretty. scene. The colors are fabulous. What a beautiful scene! Your coloring is superb, especially on the deer! Love this card! Beautiful! Like a picture of nature. Gorgeous fall scene! Love the trees and the deer! Beautiful details and colors! I love the scene you have created. Your blending creates such fabulous depth. I have the tree stamps and will be trying your masking technique. The water colored background and word-stamped background makes this scene even more beautiful! Oh my!!! Amazing colors!!! Love your gorgeous card!!! It's like a portrait!!! How gorgeous your forest scene; I'd love to step in, to drink in the scents, the sights, the fragrance. The Kitchen Sink is a new company to me (I know...what rock have I been hiding under! ), but what I've seen is beyond impressive! Off for much closer looks once I'm done hopping! Your showcase is so inspired! great colors on your trees, love this scene! Your design and card have so much true talent, like a true to life painting. Thanks for sharing it with us! love the tree colors. great card. Wow, the stamping is awesome, like a piece of art, well done! Wow...that is one really gorgeous card. I have this set and I love it. Thanks for the inspiration. Wow! I love your watercolored background and the colors are fabulous! I love love the repetitive sentiment too. Love, Love, Love!!! This card is so beautiful! I just love how you did the trees, and how the yellow one pops out against the green one. Gorgeous! Oh my goodness! This card is just stunning. Thank you for sharing your art! Chris, your card is a work of art! 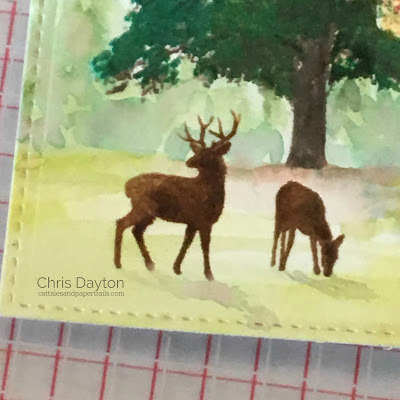 Adding the watercolor "environment" for the trees and deer is breathtaking! Thank you for sharing your technique for using your ink pads as watercolors! The dimension you added to the deer is stunning!!! Love the ombre effect with the sentiment too! Your card is an inspiration all the around!